This Lamp Is Part Of A Collection That Integrates The Glamour Of An Exotic Getaway With The Casual Comfort Of A Weekend At The Beach House. Rustic Toile Patterns In Tonal Blues Are Paired With Batik Inspired Textiles That Are All Rich And Graphic In Feeling. 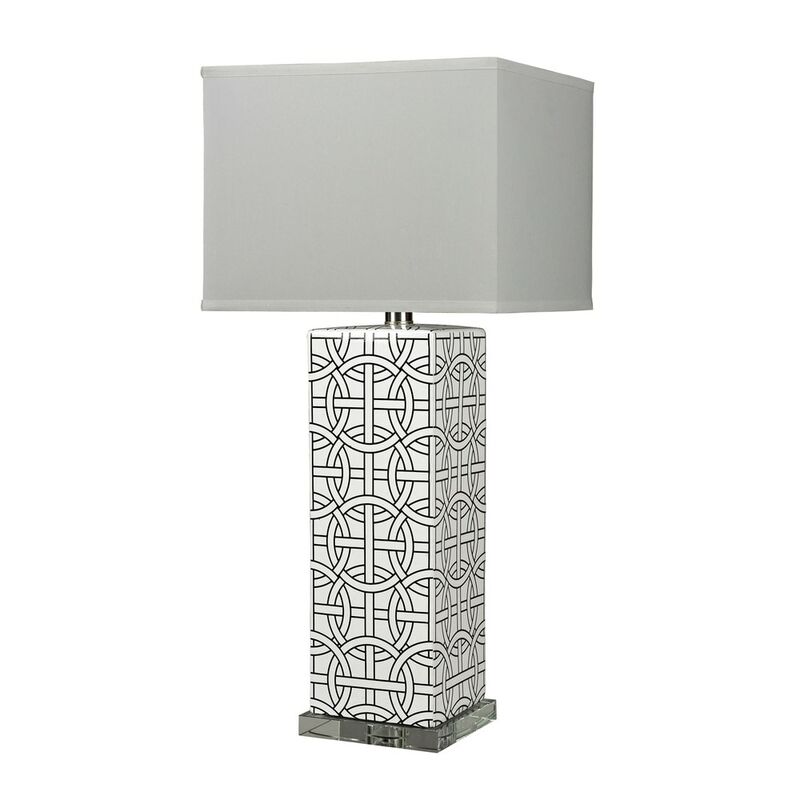 The Dark Blue Linked Rings Ceramic Table Lamp With Crystal Base Is Topped With A Square Hard Back Shade In Pure White Faux Silk. The Base Measures 14"W X 14"D X 31"H With Shade Measurements Of 14''W X 14"D X 10"H. The Fixture Uses One 150 Watt 3-Way Medium Bulb With A Switch On The Socket.